For anyone who is heralding President Trump’s summit with Kim Jong-un as an historic step toward peace, you might want to hold your horses: Donald Trump just sent out a series of tweets that makes it pretty clear he’s under the impression he spent the past few days hanging out with Chris Farley. Yikes. 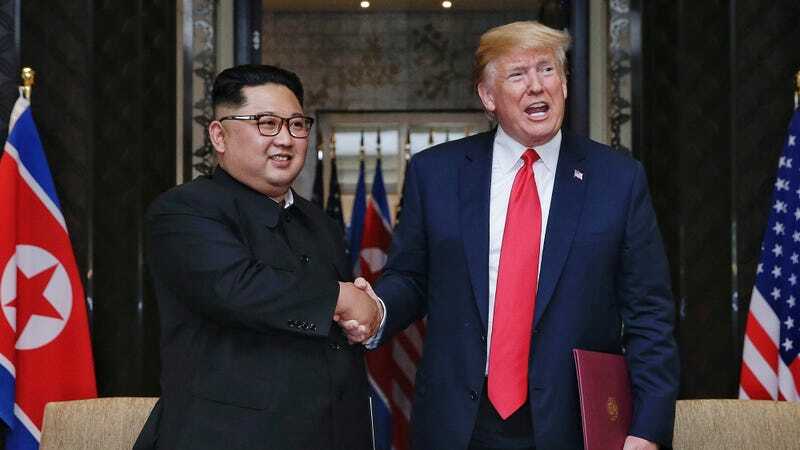 Navigating foreign policy with a country as steeped in conflict as North Korea will never be an easy task, and this huge misunderstanding is definitely not going to put us in its good graces. Mr. Trump, this country’s safety is in your hands, so we’re going to need you to step it up next time you meet with a powerful foreign leader.